Constellation Brands (STZ) is shrugging off the stigma surrounding marijuana and further diversifying its buzz. The New York-based company, which makes and markets a variety of beer, wine and spirits products, today confirmed plans to become the first major alcohol manufacturer to formally expand into the marijuana business via the purchase of a 9.9 percent stake in Canada’s Canopy Growth Corporation (WEED). The news was first reported by the Wall Street Journal on Sunday. The $191 million investment into Canopy — the world’s largest publicly traded cannabis company, which is listed on the Toronto Stock Exchange and has a market cap of more than $1.55 billion – is aimed at developing and marketing cannabis-infused beverages that do not contain alcohol, according to the Wall Street Journal, which interviewed Constellation CEO Rob Sands. 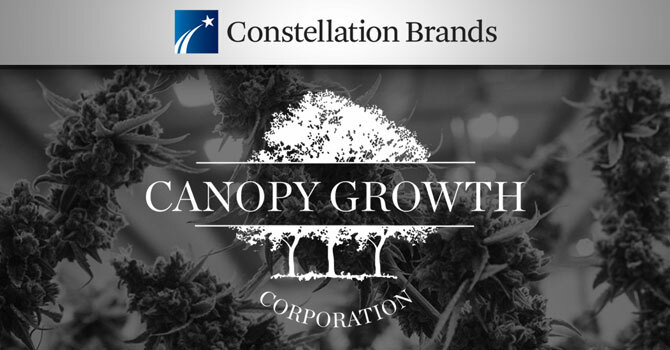 The transaction is expected to close during the third quarter of fiscal 2018, Constellation noted in a press release, and the booze maker will have an option to acquire more of the cannabis company in the future. Constellation is betting on the continued growth of a budding U.S. cannabis industry that some analysts believe could eventually grow to $50 billion. The investment into Canopy also comes at time when 64 percent of Americans now support legalization, according to a Gallup poll issued last week. According to Sands, the minority acquisition will give Constellation a “first-mover advantage” when recreational use of marijuana has been legalized nationwide. 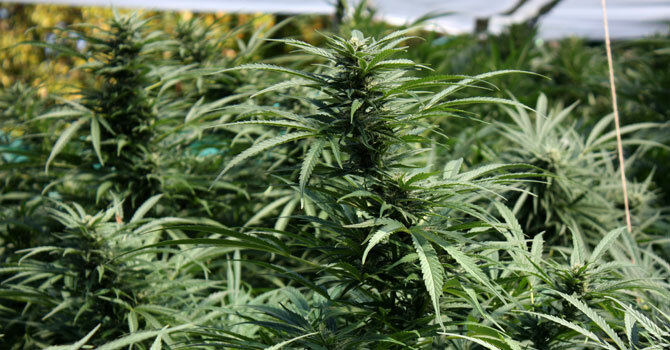 Medical use of marijuana is already legal in 29 U.S. states and the District of Columbia. Just eight U.S. states – Alaska, California, Colorado, Maine, Massachusetts, Nevada, Oregon, Washington – as well as and the District of Columbia have legalized recreational marijuana use, however. In Canada, meanwhile, the use of marijuana for medicinal purposes has been legal since 2001. The Canadian government is expected to legalize recreational marijuana use next July. A number of non-alcoholic beverages with THC are already being produced and sold in states where marijuana use is legal. California’s Manzanita and Madrone makes sodas with 50 mg of THC, while Washington’s Le Herbe and Colorado’s Dixie Elixirs make less potent drinks, including teas, waters, coffees, and citrus shots that include 10 mg of THC. It’s still unclear how marijuana use could impact alcohol sales. Cowen and Company analyst Vivien Azer, who tracks the overlap between marijuana and alcohol use in the U.S., maintains that cannabis is an alcohol substitute. “In both the U.S. and Canada, we have seen clear signs of substitution between alcohol and cannabis, in particular among younger adult consumers,” she wrote in a memo following the news on Constellation’s investment. According to Cowen’s survey findings, 64 percent of Americans and 72 percent of Canadians have reduced their alcohol consumption in favor of marijuana. When asked by the Wall Street Journal if marijuana could cut into alcohol sales, Sands was hesitant to speculate. Investors in both companies responded favorably to the news. At press time, shares of WEED were up nearly 15 percent ($1.90) while shares of STZ were up nearly one percent ($1.62).